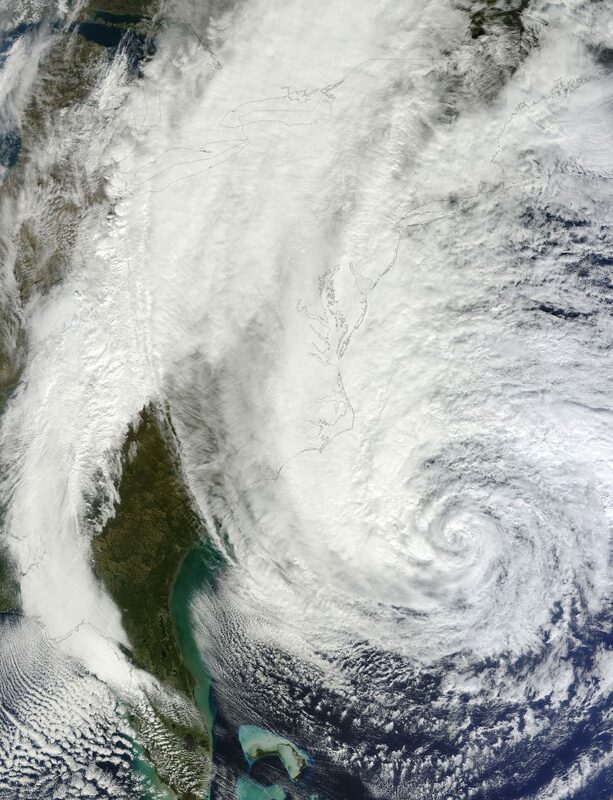 A tilted satellite image of Superstorm Sandy. Harav Yisrael Yitzchak was the son of Harav Shimon of Skernevitz, zy”a. Rav Shimon was the youngest son of Harav Menachem Mendel of Vorka, zy”a, who was in turn the son of Harav Yitzchak of Vorka, zy”a, the founder of the Vorka dynasty. Rav Yisrael Yitzchak was the son-in-law of Harav Chaim of Nadarzin, zy”a, also a scion of the Vorka dynasty. Rav Yisrael Yitzchak was renowned as an outstanding lamdan, and was dedicated to Torah learning all his life, near the court of his father. When his father, Rav Shimon, was niftar, on 20 Tishrei 5687/1926, most of the Chassidim chose his oldest son, Harav Menachem Mendel of Otvotsk, zy”a, as the new Rebbe. Rav Menachem Mendel held that the leadership belonged to his younger brother, Rav Yisrael Yitzchak, but the Chassidim were not willing to leave him. When Rav Menachem Mendel was niftar suddenly, just two years after becoming Rebbe, on 18 Adar 5689/1929, the majority of the Chassidim flocked to Rav Yisrael Yitzchak, in Skernevitz, being that Reb Mendel was childless. Some of the Chassidim went to the youngest son of Reb Shimon, Harav Dov Ber, zy”a, who lived in Loivitch, and was thus known as the Skernevitz-Loivitch Rebbe. During World War II, the Nazis bombed the city of Skernevitz. Rav Yisrael Yitzchak fled the city by wagon, to Raavah. But there he was caught by the Nazis and sent to a forced-labor camp in Germany. Later, Rav Yisrael Yitzchak was returned to Warsaw, broken and downtrodden. Illness claimed his life in the Warsaw Ghetto. Rav Yisrael Yitzchak had two sons. His son Rav Yehoshua Moshe was niftar in his lifetime, and his son Harav Yaakov Yehudah, together with his son-in-law Harav Hirsh Shedrovitzki, were killed during the War. Hashem yikom damam. In 1929, “Black Tuesday” descended upon the New York Stock Exchange. Prices collapsed amid panic selling and thousands of investors were wiped out as America’s “Great Depression” began.